With over 30 years of experience in the flooring business, our goal is to provide the best products, installation services and expertise. We offer our clients a tailored service that is unmatched in both value and quality for residential and commercial flooring applications. We work with the most trusted brands in the flooring industry and stand behind our partners in both integrity and value. Our sales teams have many years of experience working closely with contractors and interior designers, helping to manage your flooring installation process from start to finish. At Toronto Flooring Solutions, understanding that every flooring project is unique shapes the way we do business. Whether you are looking to add some modern flare to your room with sleek hardwood flooring, set a foundation for your home gym with top of the line cork flooring, or find a resilient engineered hardwood flooring that will hold up through all four seasons, we can help. Our large selection of products was put together to cater to our client’s aesthetic, functional and financial needs. 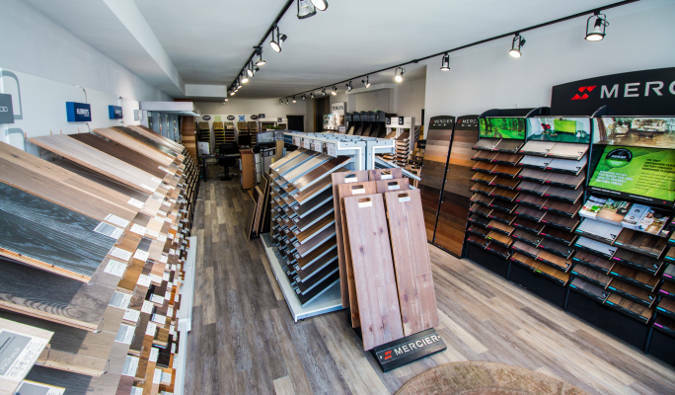 We take pride in providing Toronto and the GTA with the newest and highest quality solid hardwood, engineered hardwood, cork flooring, laminate, and carpet so our client’s dream space can become a reality. Beyond our great products, the services we offer allow us to see every project through from start to finish. By giving detailed estimates and expertly answering our client’s questions, we have established ourselves in the GTA as a go-to company when flooring experts are required for a renovation project. When you finally choose the perfect floor for your room, our installation team will be there, ready to make it happen. Our quick and expert installation service has been utilized by condo and home customer’s throughout Toronto and the York Region where our work ethic has built our great reputation. Lastly, when your floor is complete, you can rest easy with the warranty we provide. Our expertise and pride in the work we do and the products we provide lets us offer warranties that allow our clients to enjoy their new floors care-free.